The winds of change have arrived yet again. The five week break between fall and spring semesters has more or less vanished, and the spring semester begins in five days. Graduation is soooo close I can taste it! What a wonderful semester it’s going to be too. I am not sure where the last two years have gone or what I was thinking back in 2011, but here I am heading towards the finish line. It definitely feels different than undergraduate graduation did, but then again, I’m not really the same person anymore. I have new hobbies and interests, a different social circle, and actually, I don’t even live in the same apartment. Everything is different, but then again, things aren’t that different either. I’m still me just older and theoretically wiser! The Aaron family are quite a hopeful bunch, it must be something in our blood, and now we all get to practice it for the remaining 11.5 months of the year. I know for me, I have about a billion life changes coming up in the year, and the same goes with my family. It will be wild year, but we’re all doing so well so far! I’m quite upbeat for a New Year, and full of excitement, enthusiasm, and well, hope! Hope (and food) are the fuel for my fire, my motivation when times are less than thrilling, and the bootstraps for pulling myself out of the mud. Again, it’s not that I’m being overly optimistic, but having things to look forward to and hope for just makes life that much easier. Even on lousy days, the light at the end of the tunnel screams “awesome things are coming” and come they shall! 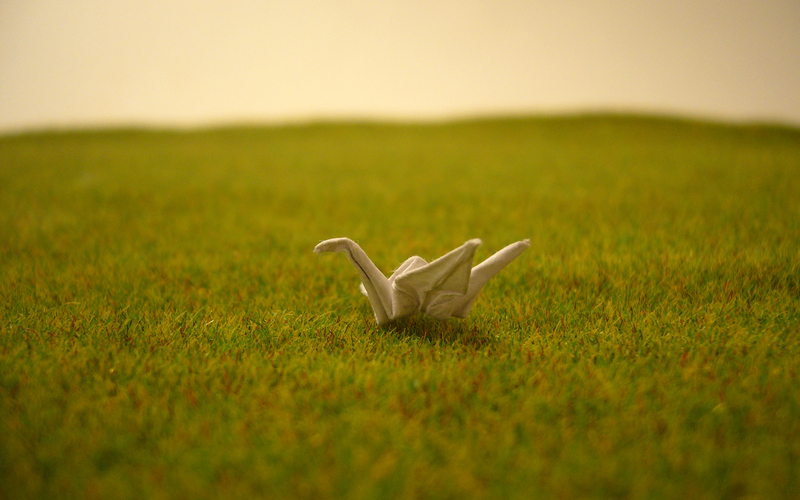 This is the hoping crane. For some reason, it just makes me happy. Shoot for the stars – Don’t do yourself a disservice and hope for something not nearly awesome enough. It’s OK to hope for the small things, but it’s hoping for the monumental things over the long haul that keeps me going. Don’t be delusional – There is an element of keeping it real among your hoping. Don’t hope to become an astronaut if you’re talented as a watercolor artist or mathematician. Hope outside of your normal box but don’t be rash with your hopes. You have to leverage your skills, talents, and interests to align your hopes appropriately. I can hope to be an Olympic ski jumper all I want but it just won’t happen!